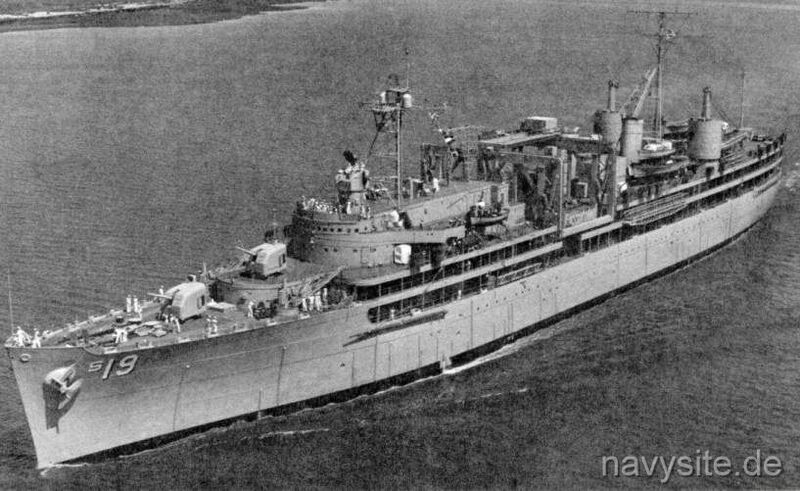 Originally a ship of the FULTON - class, the USS PROTEUS was commissioned as a diesel sub tender on January 31, 1944. From 1959-60, the PROTEUS was overhauled and reconfigured to service FBM submarines. During this overhaul her hull was sliced through, cutting the ship in half, and a forty-four-foot plug weighting 500 tons was added to the hull. This new section became the missile magazine. 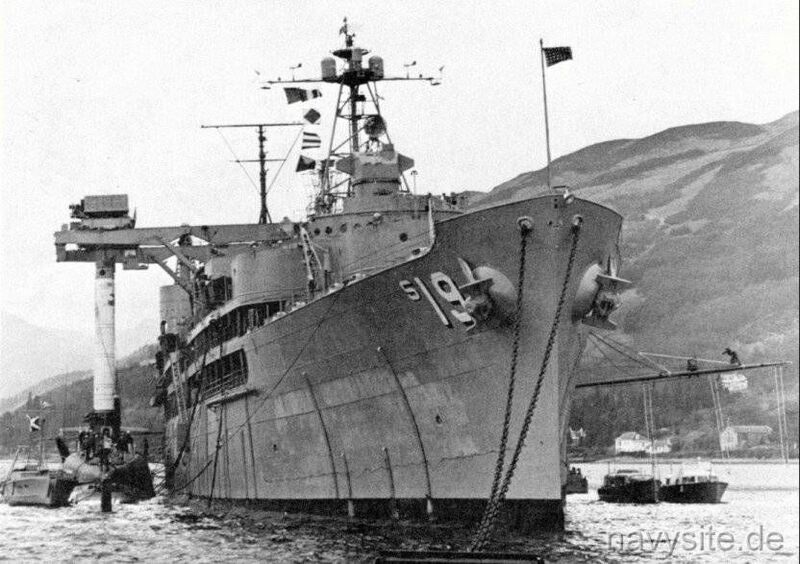 Until 1964, the PROTEUS was assigned to SUBRON 14 at Holy Loch, Scotland, and to SUBRON 16 at Rota, Spain. 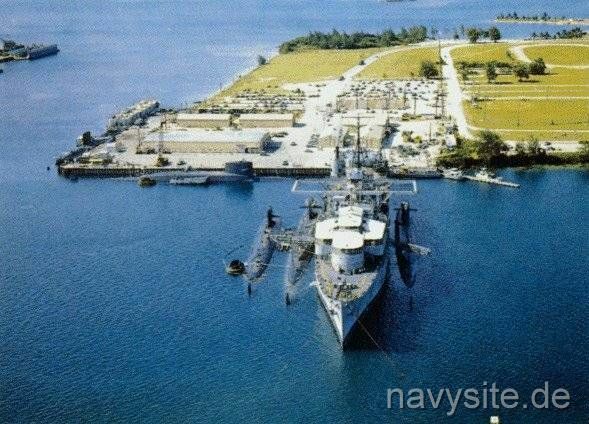 From 1964 on, PROTEUS was assigned to SUBRON 15 at Apra Harbor, Guam. 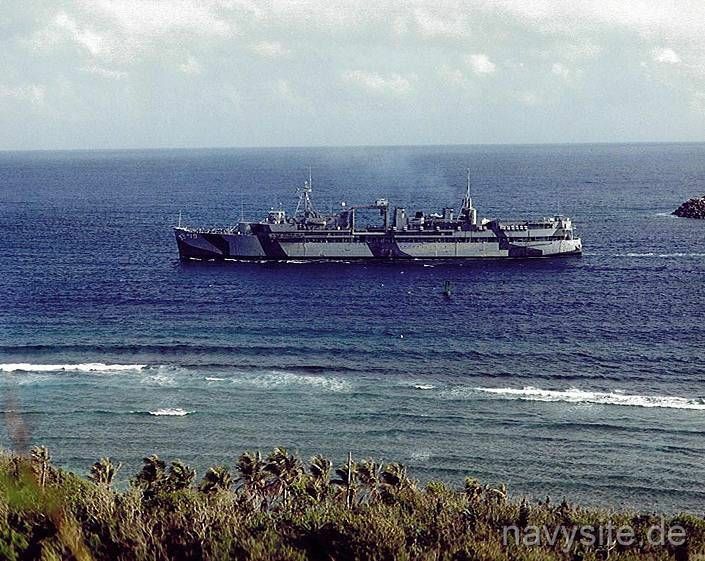 Decommissioned on July 11, 1992, the PROTEUS was stricken from the Navy list in September 1992. 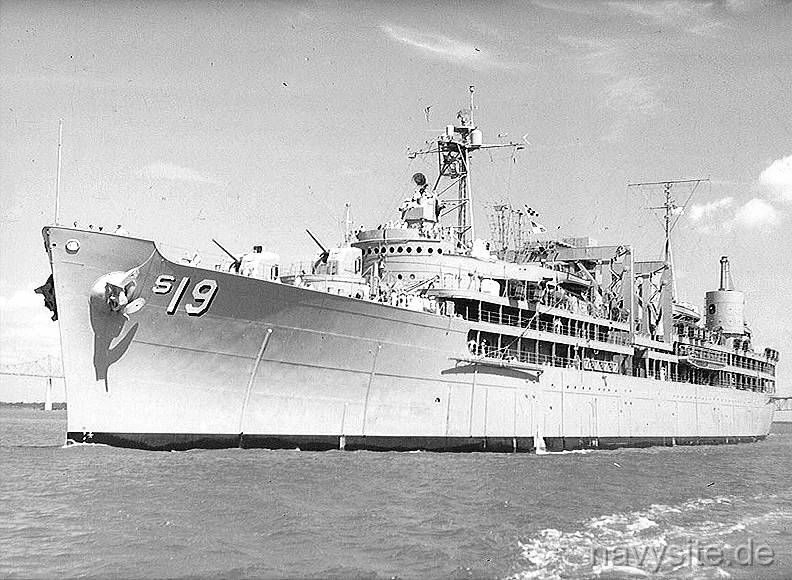 However, in 1994 the PROTEUS was re-instated as IX 518 serving as berthing ship for overhaul crews at Bremerton, Wash. That last assignment ended in 1999, when IX 518 was retired and stricken for the last time. 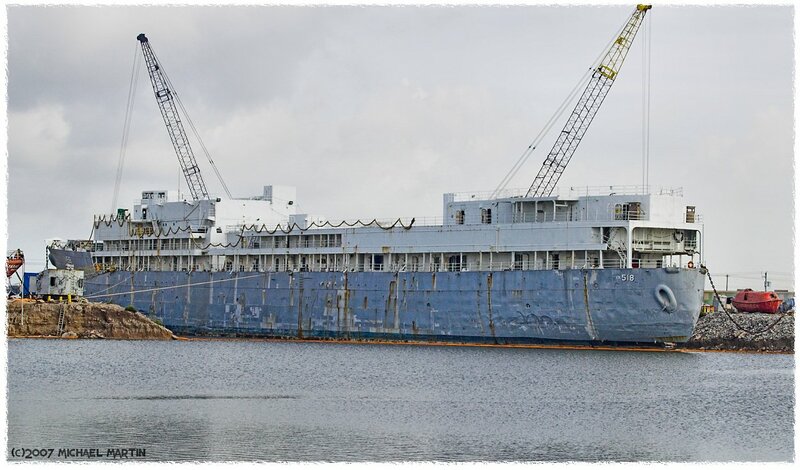 PROTEUS was later sold to Esco Marine, Brownsville, Tx., for scrapping. Scrapping was completed in early 2008. Builder: Moore Shipbuilding and Dry Dock Co., Oakland, Calif. This section contains the names of sailors who served aboard USS PROTEUS. It is no official listing but contains the names of sailors who submitted their information. 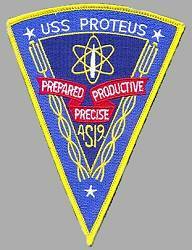 Click here to see which USS PROTEUS memorabilia are currently for sale on ebay. USS PROTEUS suffers a brief fire during a weekend training cruise. The fire, which caused only slight damage, apparently started in a pile of rags. December 2, 1972 Pearl Harbor, HI. USS PROTEUS experiences a blast in a boiler room while in Pearl Harbor, HI., suffering only slight damage. Fuel oil leaks into the lower level of the ballistic missile magazine aboard the USS PROTEUS. According to the Navy, the leak was detected by magazine personnel and stopped. The photo below was taken and contributed by Michael Martin and shows the PROTEUS (as IX 518) at Esco Marine, Brownsville, Texas, undergoing scrapping. The photo was taken on August 1, 2007. Back to Submarine Tenders list. Back to Ships list. Back to selection page. Back to 1st page.